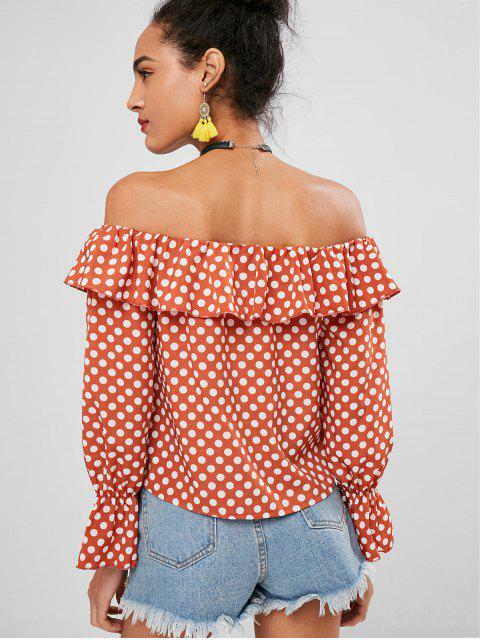 [44% OFF] 2019 Off Shoulder Polka Dot Top In ORANGE SALMON | ZAFUL ..
A perfect polka pot piece in all of the long-sleeved tops, this top gets an upgraded look with a button-up closure on the front for a little edge. 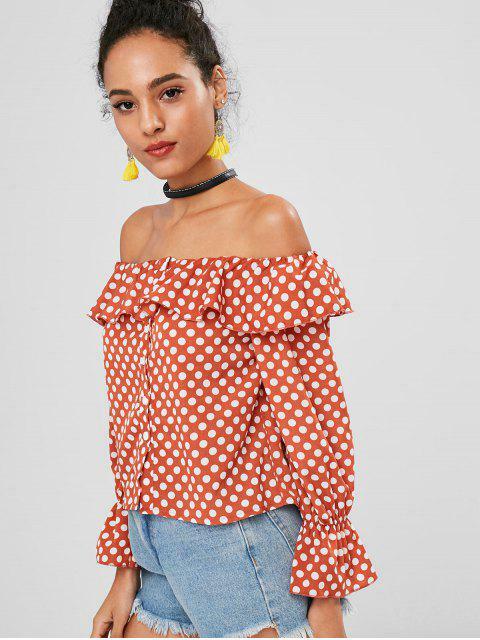 Flattering with the flirty off-the-shoulder collarline, it is fluttering with its overlaying ruffles along the collarline for a flowy vibe. Elastic cuffs create the long, flounced sleeves. 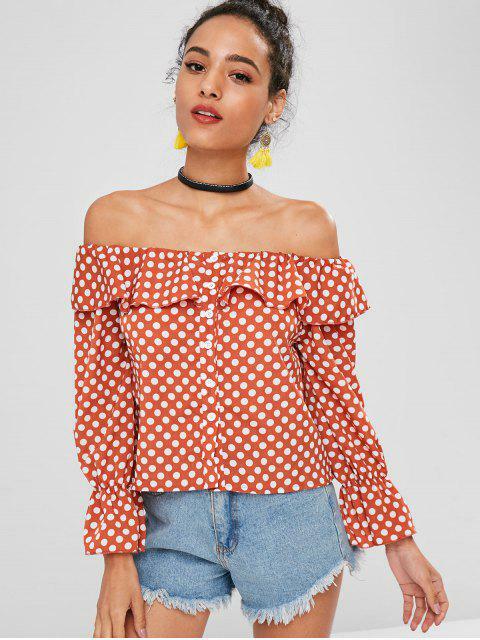 Look great to pair it with jeans.